As of June 2, edibles can be purchased in Oregon’s recreational marijuana market. Here at Substance, we decided it was high time to put out our own guide for this brand of cannabis consumption. Whether you are a first-time user or a veteran looking for a refresher, we hope you find this guide useful. The new regulations allow for Oregonians over the age of 21 to purchase “one low-dose cannabinoid edible” a day. Low-dose here is defined as 15 mg of THC or less. Why so low? The answer is that edibles tend to have much stronger, longer lasting effects than smoking. Your smoking tolerance may also be higher than your edible tolerance; it’s hard to know beforehand. Furthermore, once you have put the cannabis into your system, all you can do is wait for the effects to wear off. While not toxic for your body, consuming too much THC can be very unpleasant. This is why first-time consumers are encouraged to start small and work their way up. Colorado has even initiated a ‘First Time 5’ campaign, encouraging those new to edibles to begin with just 5 mg of THC per serving. Edibles have a stronger effect than smoking because of the way the THC enters your system. Once metabolized by the liver, the THC becomes more potent and bypasses the blood-brain barrier more quickly. This means that while edibles hit harder for longer, they also take longer to set in. On average, you can expect anywhere between 15 and 90 minutes to begin feeling the effects. Peak effects may not arrive for up to 2 hours, and can last for several more. The THC in an edible is absorbed into the bloodstream one of two ways: sublingually or gastrointestinally. Those absorbed sublingually, or “under the tongue”, set in much faster, as they enter the bloodstream directly through tissues in the mouth. Sublingual edibles include tinctures, suckers, lozenges, and hard candy. Gastrointestinal methods tend to take longer, as they must enter the intestinal tract before you feel the effects. Expect a longer turnaround time for brownies, cookies, baked goods, savory snacks, and drinks. Ultimately, everyone is affected by edibles differently. So start low, go slow, and play it safe until you find what works for you. As for flower, you will still be able to purchase up to a quarter ounce of bud per day. Adult users can purchase up to 4 clones through December 31, 2016. Oregon’s recreational marijuana market opened last year, allowing dispensaries to sell limited cannabis products to adult users. Since October 1, 2015, dispensaries licensed by the Oregon Health Authority (OHA) have been able to sell up to a quarter ounce of bud a day and four clones to all 21+ consumers. The new regulations allow these same adults to have access to the full range of cannabis products, albeit in limited quantities and dosage levels. All adult use cannabis products sold at medical dispensaries are subject to a 25% sales tax. Oregon’s recreational marijuana market as a whole, however, is still in its experimental stages. Adult cannabis sales at medical marijuana dispensaries are part of a trial period in which the OHA remains the primary regulator. After December 31, 2016, however, purely recreational stores are expected to open, licensed and regulated by the Oregon Liquor Control Commission (OLCC). Sales taxes on cannabis products at OLCC stores will range between 17 and 20 percent. 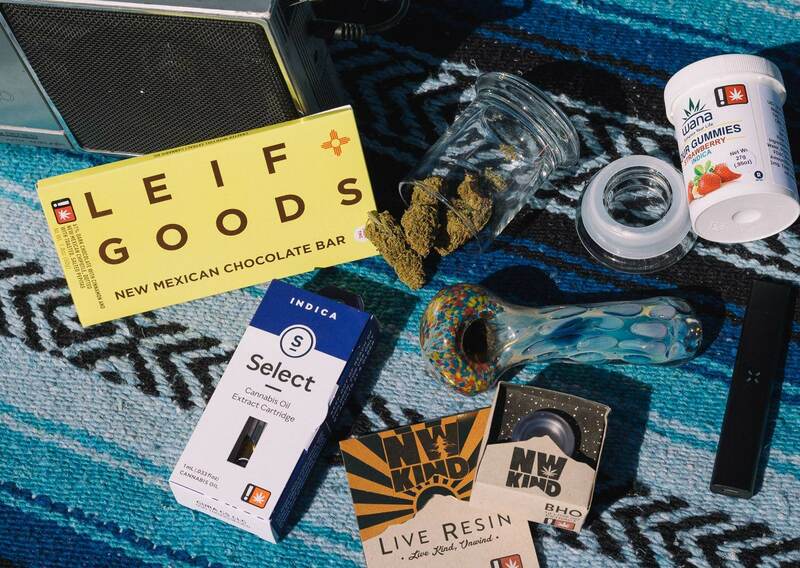 While these recreational stores will have all the same products as medical dispensaries, dosage levels are likely to be limited, and are being determined in coordination with the OHA. The OHA and OLCC will likely be looking closely at the June 2 changes when making their final decision. What’s it Like to Work in a Weed Store? Working in a pot shop is not exactly “high” times, like some may expect. Unfortunately, we can’t sit around all day taking bong hits and eating marshmallows. (If anyone knows where I can get paid to do that, please let me know!) This is a job, after all, and we are professionals. Despite the rules and regulations that we must follow like any other business in the state, however, we are free to be who we are and to have a good time. My fellow employees are a fantastic group of people. We cover a broad spectrum of ages, origins, and marijuana experiences. Some of us are wives and mothers while others are barely out of high school. Some of us are old school and like taking bong rips while others are dabbers and others prefer edibles. Our varied perspectives bring something extra special to the Bloomwell community. Is anyone wondering how I explain my job to other people? There’s not much explaining to do. I tell people that I work in a marijuana dispensary. My kid knows where I work and what is going on here, my parents know what I do, my friends know what I do… There’s no reason to hide in the closet because I’m not doing anything wrong. If anything, working at a weed store has given me an outstanding opportunity to talk about cannabis with others and to dispel myths about what’s legal and what isn’t. One of the best parts of this business is that I have a front-row seat to cannabis legalization and that’s really exciting. I love meeting interesting people from all over the world and from all walks of life who like using marijuana for whatever reason. Cannabis is the plant that brings people together. We believe that cannabis is part of everyone’s health and wellness regimen, whether they have a note from their doctor or not. So, let’s welcome all of the new cannabis consumers into our Substance community. Additional demand from our new adult-use clients has allowed us to procure a larger variety of cannabis from more producers around the region. These new clients help to create a better experience for our OMMP clientele. We have invested in new systems, expanded our point of sale areas, and hired additional staff to better manage our operations and client engagement. OMMP clients: While it may sometimes appear we have a lobby full of people, rest assured your place is protected and we will be sure to expedite you to the OMMP station. Flash your green card and we’ll serve you promptly. We have created a dedicated OMMP service station, well stocked with concentrates, edibles, tinctures and topicals. To show our gratitude, all OMMP clients will receive 10% off ALL products for the entire month of October. Oh Fudge – Solid Potency, Super Tasty and a great value at $5 each! 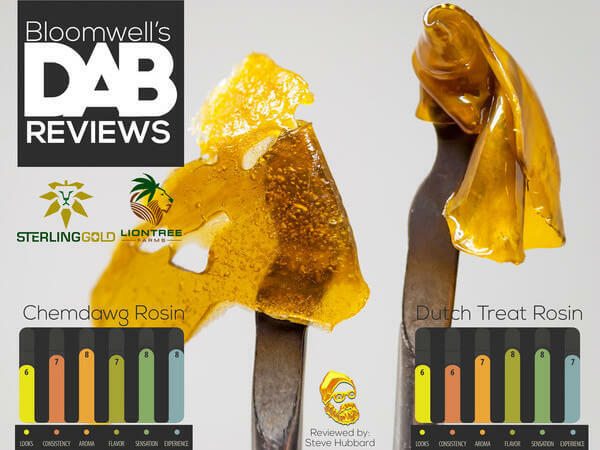 CBD Gold Label Taffies are Back! Please come and celebrate the end of cannabis prohibition with us! When you hear the term ‘ganja’, the first thing that comes to mind might be Rastafarianism. Rastafarianism is a religion that began in Jamaica in the 1930s, combining Protestant Christianity with mysticism and a pan-African political consciousness. Rastas use ganja (cannabis) as part of a spiritual, meditative practice. Interestingly, however, the word ‘ganja’ does not originate in the Caribbean. Rather, ‘ganja’ is of Sanskrit origin, an Old Indo-Aryan language from the Indian subcontinent. So how did a word with Indian roots become so prevalent in a primarily Jamaican religion? The answer lies in the importance of cannabis to aspects of Hindu culture and society and British 19th century imperial policy. Hinduism is a diverse religion from the Indian subcontinent, dating back as far as the 2nd millennium BCE. Many of its holy texts are written in Sanskrit. Several of these texts identify cannabis as sacred, leading one scholar to assert that “Hindus regard cannabis in much the same way as Christians regard the holy sacrament of wine.” The importance of cannabis to parts of Hindu society can also be seen in local religious practices throughout the Indian subcontinent. In several cities and regions, deities are offered cannabis as part of religious ceremonies. The British Empire formed the link between the Indian subcontinent, and, hence, Sanskrit-based words for cannabis, and the Caribbean. By the late 18th century, Britain had gained strategic control over parts of India, further consolidating its control throughout the 19th century. In 1833, Britain outlawed slavery. Consequently, the empire’s colonies, especially its rubber and sugar plantations, needed laborers. Britain looked to the Indian subcontinent for manpower. Indians were taken abroad, often as indentured laborers, to plantations in a variety of locations, including Jamaica. Between 1845 and 1917, Britain brought nearly 40,000 Indian indentured laborers to the country. The interweaving of Indian and Jamaican cultures that followed brought the word ‘ganja’ to Jamaica. By the early 20th century, smoking ganja had become common practice among young, black Jamaican field workers. The black-power, pan-African message of Rastafarianism found fertile ground among this disenfranchised population. As many of these workers were displaced and moved to poor, urban areas, the message of spiritual ganja-use, pan-Africanism, and black liberation grew stronger. 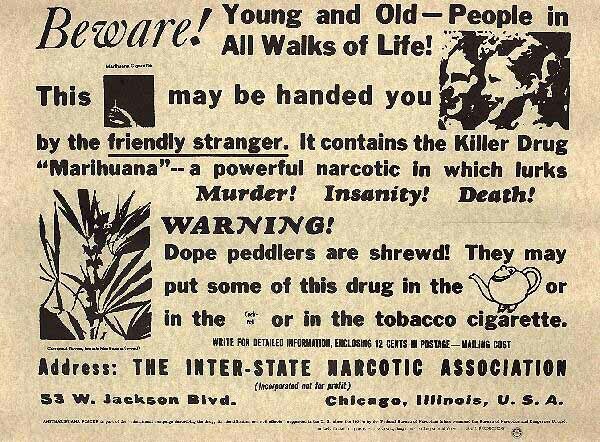 Jamaica’s elite felt threatened by this movement, and in 1948, ganja was made illegal. Thus, by the mid 20th century, ganja had become an integral part of the anti-establishment movement that is Rastafarianism.